Our courses are closely tied into our research activity, so that recent findings can be used in the classroom and student work can contribute to our research programmes. As an ODID student you will benefit from small class sizes, personal supervision by world-class academics, and a vibrant and diverse community of peers. Our degrees offer flexibility in learning, with a range of option courses to enable you to match your study to your interests. You will also have the opportunity to research a subject in depth through a dissertation or extended essay and, for the DPhil and MPhil, to support that research through fieldwork. Our master's courses also offer training in research methods, enabling outstanding students to apply to proceed to doctoral study. At Oxford, you will become part of an exceptional intellectual environment. You will have access to the rich resources of the University's historic libraries and to a wide range of talks and events delivered by world-leading scholars who are drawn to the city by its global reputation. 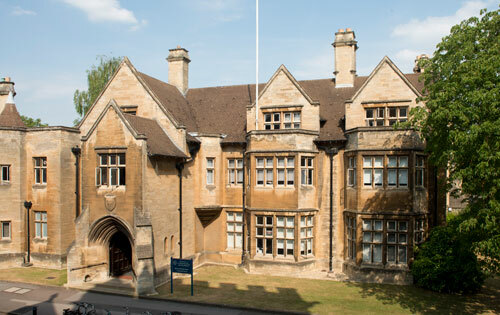 You will also benefit academically and socially from Oxford's unique multidisciplinary college communities. Please bear in mind that the information on the following course pages reflects the situation for students studying at ODID in 2018/19. The two-year MPhil in Development Studies will provide you with a rigorous and critical introduction to development as a process of managed and unmanaged change in societies in the global South. The course is an excellent preparation for a career in development policy or practice or for further study in the field. The MSc in Global Governance and Diplomacy is a nine-month course designed to provide high-quality graduate training about the institutions and processes of global governance and diplomacy and will prepare you for a career in those fields or beyond. This interdisciplinary, nine-month master’s degree analyses global migration and mobility in historical context and as part of development and social change. Taught by world-class researchers, it will introduce you to key migration and mobility-related concepts, methods and theories across the social sciences, and prepare you for further research or a professional career. This nine-month master’s degree places forced migration in an academic framework, preparing you for doctoral study or for work relevant to human rights, refugees, and migration. It offers an intellectually demanding, interdisciplinary route to understanding forced migration in contexts of conflict, repression, natural disasters, environmental change and development policy-making.